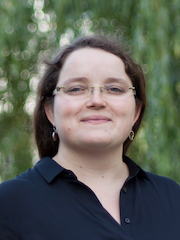 Melanie Lorenz is a PhD student in the International Research Training Group „StRATEGy“ and a member of the Mineralogy-Petrology section at the University of Potsdam. She holds a M.Sc degree in Geosciences from the University of Potsdam. Her primary research goal is to understand how rare earth minerals (REE) become enriched in the upper continental crust. She applies a combination of various microanalytical as well as geochemical methods to understand and quantify primary mineralization, secondary enrichment and metal transport processes (e.g. hydrothermal alteration, fluid-rock-interactions in brittle-ductile faults).